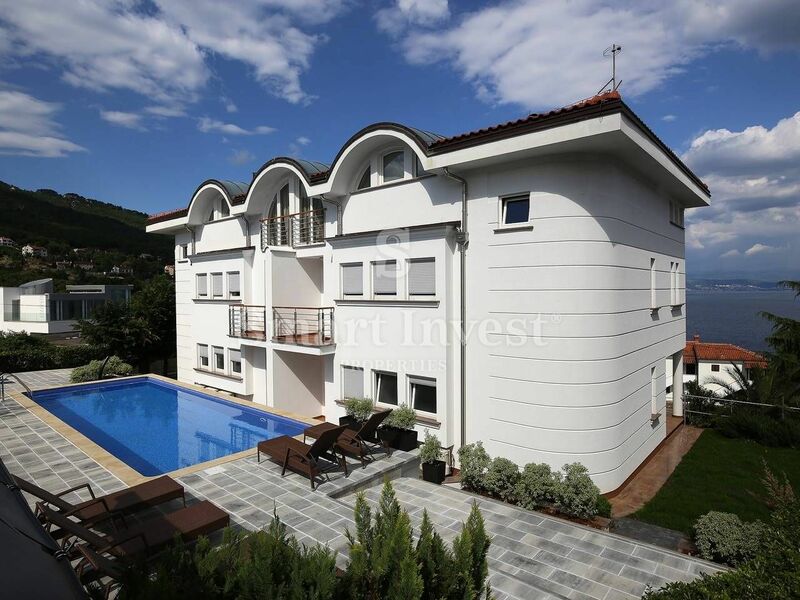 IČIĆI, beautiful apartment in a quality new building of 75 sqm, located on the 2nd floor, consisting of living room with kitchen and dining room, two bedrooms, bathroom and toilet, and large loggia with beautiful panoramic sea view. The apartment is completely equipped and luxuriously furnished, it has its own garage of 15 sqm, and common sauna and swimming pool. Very nice location with beautiful sea view!